Zebra Crossing: A Grant's Zebra runs through shallow water at the edge of Lake Nakuru, Kenya. 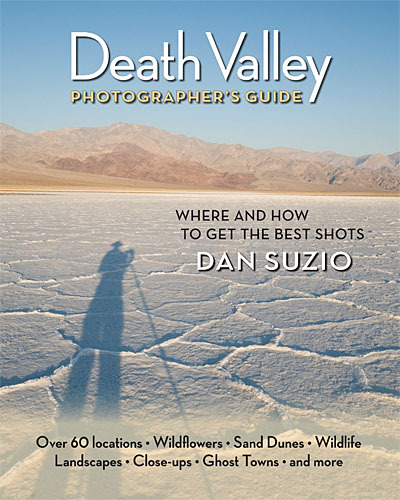 In this award-winning, comprehensive guide to photographing Death Valley National Park, wildlife photographer Dan Suzio shares his tips on shooting wildflowers, sand dunes, reptiles, birds, mammals, landscapes, ghost towns, and more. The book includes maps and directions to more than sixty locations, with advice on what equipment to use and when to find the best light, plus a quick reference chart showing highlights of all locations.